Who is metalxmfg.com? Metal X Manufacturing is a company dedicated to its customers. 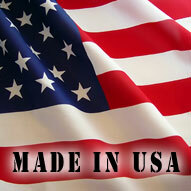 We pride are self on being a made in the USA company. Our product line includes custom Kydex Wallets, Tactial Bottle Openers, Keychains and more. We are always innovating and continue to grow our product line. Here at MXM we tailor to your needs and have come up with a product line that allows you the customer to customize your product. From all of us here at MXM we greatly appreciate the opportunity to earn your business.